Powerful Stun Gun :Just test firing this unit into the air is often enough to stop an attacker. As the bright electric current pulsates across the top of the unit it creates an intimidating electrical sound. An attacker with any sense will be stopped in his tracks. If the sight and sound don't stop him a jolt from this unit will. Built-in Charger : This unit has a rechargeable electronic cord. Simply plug in into a standard outlet. Complete charging instructions included. 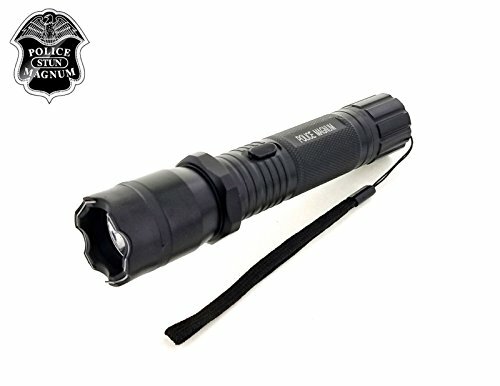 Bright Flashlight : The flashlight provides a convenient source of light whenever you need it and eliminate the need to carry a heavy, bulky flashlight. Safety Switch : To prevent accidental discharge, two levels of safety have been built in.